Everyone knows that educational success is much more likely when studentsâ imaginations and emotions are caught up in learning. 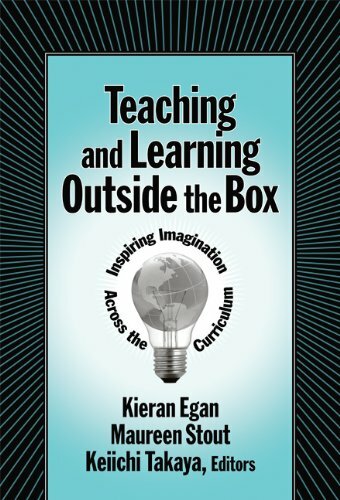 While we have a rich educational literature about holding studentsâ interest, we do not have very much sustained work on what the imagination is, how it works in learning, or how it may be inspired in the classroom. Addressing the whole curriculum, this book provides insights into each of those areas central to educational success. Engaging the imagination is sometimes seen in opposition to preparing students for testing, but scoring well on tests and being imaginatively active in learning are not mutually exclusive. When studentsâ imaginations are engaged in learning their educational performance will improve by any test or measure. This book offers a new understanding of how knowledge grows in the mind and how our imagination works and changes during our lifetime. Knowledgeable authors describe innovative teaching methods based on these insights, which offer new ways of planning and teaching. About: Everyone knows that educational success is much more likely when students' imaginations and emotions are caught up in learning. About: Everyone knows that educational success is much more likely when students’ imaginations and emotions are caught up in learning.